How can architects and engineers prevent an intruder from gaining access to an office building and injuring employees? How can they stop a thief from stealing equipment at a laboratory? FSB has a long track record of implementing security measures to protect clients against these and other threats. The firm helps clients identify and mitigate their facilities’ vulnerabilities and worst-case scenarios. From video monitoring systems, to blast protection, to access control, FSB considers the entire facility, and brings the right combination of physical security strategies to every project. The art lies in understanding each tool and applying the appropriate, most cost effective combination of options for every project. “It’s important to think about the worst-case scenarios to provide the best security recommendations possible,” Little said. Little is one of several at FSB who has developed an expertise within his field in designing secure facilities. A cross-discipline design team facilitates coordination between FSB architects, electrical and structural engineers. This holistic approach to physical security can influence design choices, so embedded security expertise is ideal for clients from a budgetary standpoint as well as aesthetically. 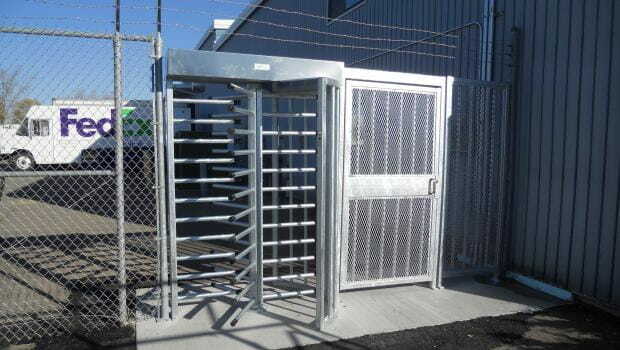 When the entire building is considered in designing for physical security, many design elements and decisions can contribute to a safer environment, Little said. Often, before a security system can be recommended, clients need FSB’s help to identify their vulnerabilities to make sure they are protecting their employees and facilities against the appropriate threats. A high-profile public building might be more likely to encounter a bomb threat or biological attack, while a corporate chemical facility could be a target for break-ins and theft. FSB can conduct vulnerability assessments of both planned and existing structures to determine a building’s security pitfalls based on a range of factors such as current levels of security, crime statistics, weather, geographical location and more. FSB prioritizes continuing education. Architects and engineers who are designing for security must keep up with changing threats as well as technological advancements to bring clients the latest protection. Now, if needed, clients have the option to equip their facilities with intelligent security systems that can “think” by analyzing video feeds in real time. For example, FSB can implement video monitoring systems that ignore everything that’s moving away from a building, but detect people or vehicles moving toward it after hours. The firm can incorporate comparative access control systems at an entrance, where an employee’s badge or ID number is compared against an intelligent video feed, and if the photo on file doesn’t match, the person will not be allowed in. Still, whether the security measure is as simple as a concrete planter or as complex as facial recognition technology, FSB’s priority is that the tool is correctly applied as part of a larger security strategy, designed to address a client’s vulnerabilities. To learn more about security engineering design for your next project contact: Principal and Infrastructure Market Sector Leader, Gary James, PE at fsbceo@fsb-ae.com or directly at 405.840.2931 or Electrical Engineer and FSB Associate, J.T. Little, PE, LEED AP, RCDD at jlittle@fsb-ae.com or by phone at 405.840.2931.